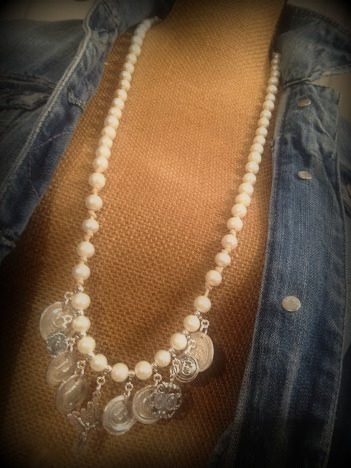 Full pearl necklace with sterling silver slide bails which hold sterling initials, add crucifix or religious medal to save room for future children or grandchildren! This is the perfect Mother's Day gift for that special mom, grandmother or mother in law. Can be worn long or doubled as shown in picture. Necklace shown is a 36" on natural leather.